CASCADEMIC offers Cloud Connectivity Solutions and Applications Support to enable seamless integration of Sensor Nodes & Output Controls to most of the popular Cloud platforms. The easily customizable CASCADEMIC Platform, Nodes & Gateway are Industrial grade with long term support. The Full fledged Turnkey Embedded Hardware & Software Solutions come with flexible Communication Interfaces and enable quick Cloud Integration, Data Analytics and Applications development. 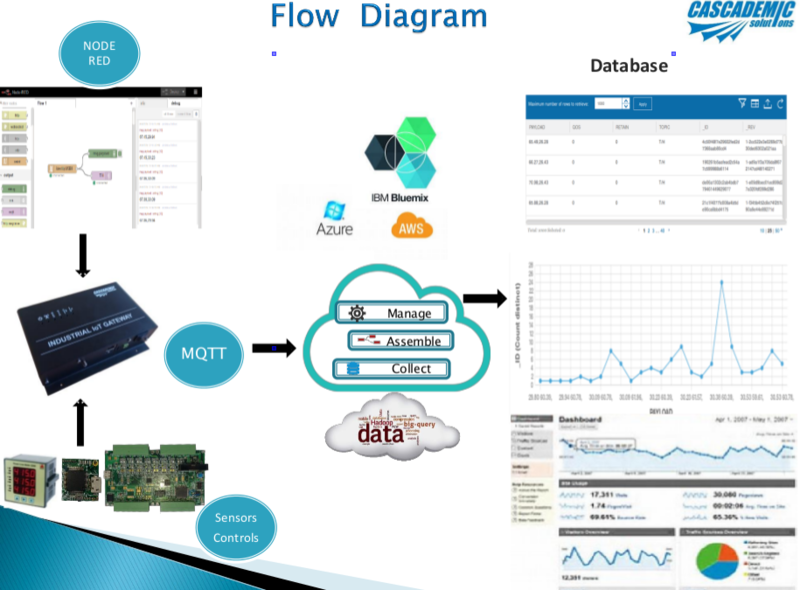 The Solutions support MQTT and are Cloud ready with Adaptors for IBM Bluemix, Microsoft Azure, Telit deviceWISE and Amazon’s AWS platforms.